For the third consecutive year, the Chicago metro area – which includes nine Illinois counties, four in Indiana and one in Wisconsin – saw a drop in population, according to the U.S. Census Bureau. Chicago demographer Rob Paral, a principal at Rob Paral and Associates, said it’s small drop. “However, what does stand out is this is not happening in our peer metro areas ... New York, L.A., Houston and the Bay Area – they are all growing,” he added. 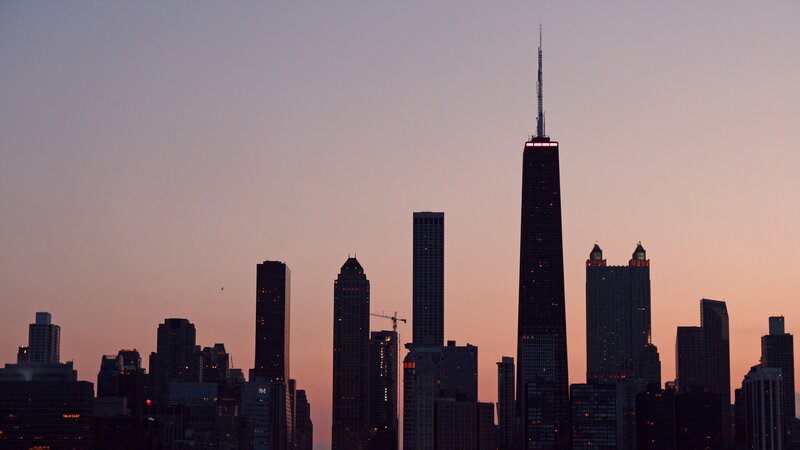 Despite the drop, the Chicago area maintains its spot as the third most populous metropolitan area. As for what’s causing the population loss, Paral says it’s a “complex stew” of factors that includes race, income and immigration. “One way to explain the population loss is largely due, in part, to African-Americans leaving. We’ve had a dramatic departure of blacks from Illinois to southern states,” he said, adding the trend has been going on for decades. In addition, he said the Latino population is growing more slowly, while whites are growing in the city but declining in the suburbs. Last year Paral conducted a study that compared the number of whites living in Chicago and elsewhere in Illinois. Historically, whites who lived in the city had lower incomes than others across the state. But now that trend has reversed, according to Paral. “Whites in the city are wealthier than elsewhere in the state,” he said. They’re moving to the city for high-paying jobs that require educated and skilled applicants, he added. Immigration has also dropped off in recent years. From the ‘80s to the early 2000s, “Illinois had really high immigration numbers, (which) covered up some of the other problems we’re talking about,” Paral said. In 2007, immigration, especially from Mexico, began declining nationally and in Illinois. “Mexican immigration is down across the U.S., but it’s unique here because we had much more Mexican immigration than practically anybody else,” he added. Of the top 10 most populous metropolitan areas, the Chicago region was the only one to see a drop in population. Meanwhile, metro areas in the South and West saw the largest population gains in 2017, with the Dallas-Fort Worth-Arlington metropolitan area in Texas leading with a gain of 146,238 people, according to census data. “There’s a national trend of (people) moving to where there’s warmer weather, and we’re in this big cold metro area that affects us in a big way,” Paral said. Like the Chicago metro area, Cook County’s population has been declining for the past several years. Last year there were 20,093 fewer people living in Cook County than 2016, according to census data. May 26, 2017: The same day the U.S. Census Bureau released data outlining Chicago’s record population loss, moving equipment company U-Haul offered a different, sunnier take on things.